LL COOL J's newest song, inspired by his role on NCIS: LOS ANGELES and written and performed by him, is now available on iTunes � and can be sampled on cbs.com and boomdizzle.com. The rap song, "NCIS: No Crew Is Superior," will also underscore CBS Marketing's upcoming on-air campaign and extensive radio and online outreach in support of NCIS: LOS ANGELES, which premieres Tuesday, Sept. 22 (9:00-10:00 PM, ET/PT) on the CBS Television Network. "NCIS: No Crew Is Superior" is the first new recording from song writer, performer and actor LL COOL J since the 2008 release of his critically-acclaimed album "Exit 13." The song was inspired by his role as Special Agent Sam Hanna, a former U.S. Navy Seal, on NCIS: LOS ANGELES. NCIS: LOS ANGELES is about the high stakes world of the Office of Special Projects (OSP), a division of NCIS that is charged with apprehending dangerous and elusive criminals that pose a threat to the nation's security. "NCIS: No Crew Is Superior" features LL COOL J rapping about the life and death nature - as well of the virtues -- of that line of work. "This song is the musical interpretation of what I felt after meeting with NCIS agents, experienced Marines and Navy Seals. It represents the collective energy in the room. I was so inspired I wrote the song on set." For "NCIS: No Crew Is Superior," LL Cool J reached out to sought after music producer, C. "Tricky" Stewart who recently produced Beyonce's "Single Ladies (Put a Ring On It)" and Rihanna's "Umbrella." "It was great to reunite with LL COOL J. His name is stamped on some of the best records that have ever been made in hip hop," said producer C. "Tricky" Stewart. "Driven by his passion for the project and the strength of the lyrics, he makes my job to create a new track complicated and easy at the same time because, LL always delivers something new and innovative to the genre." The song's music video, to be released next week, includes behind-the-scenes interaction between performer LL COOL J and C. "Tricky" Stewart during the recording session and clips from NCIS: LOS ANGELES. 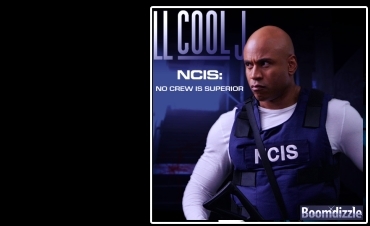 "NCIS: No Crew Is Superior" is available for purchase on iTunes through a worldwide partnership with LL COOL J and Boomdizzle. Boomdizzle.com founded by LL COOL J, will also be streaming the track. *	"Meet LL in LA" contest -- The radio stations' DJs and websites will drive their listeners to www.meetLLinLA.com, where participants can answer the NCIS: LOS ANGELES question of the day for a chance to win one trip for two to Los Angeles to meet LL COOL J on his new drama's set. The contest runs through Sept. 20, and the contest site will also include links to Boomdizzle and LL COOL J's MySpace page where they can sample his new song. *	"Watch, Listen and Win" promotion - Running from Sept. 16 through the morning of Sept. 22, the radio stations' listeners will be directed by jocks and spots to watch the premiere of NCIS: LOS ANGELES, listen to their station the next morning and call in for a chance to win a flat screen TV. Each radio spot will feature "NCIS: No Crew Is Superior" as the backing track. The campaign also features an array of NCIS: LOS ANGELES on-air spots scored with the new song. Two-time Grammy Award-winner and NAACP Image Award winner LL COOL J has championed the fields of music, film and television - and is also an author, fashion designer and philanthropist. He is the first rap artist to amass 10 consecutive platinum-plus selling albums, while 2004's "The Definition" and 2006's "Todd Smith" both went Gold. He is a multi-platinum artist who is currently tied for third place for most Billboard chart debuts by a rapper. C. "Tricky" Stewart is a Grammy Award winning music producer and songwriter and has worked with many hit recording artists including Usher, Madonna, Britney Spears, Ciara, Janet Jackson, Beyonce, Rihanna and Mariah Carey. This is the second time Tricky and LL COOL J have collaborated. Tricky produced "Baby" from LL COOL J's last CD "Exit 13." NCIS: LOS ANGELES also stars Chris O'Donnell, Linda Hunt, Peter Cambor, Daniela Ruah and Adam Jamal Craig. Rocky Carroll has a recurring role. The series is produced by CBS Television Studios; the executive producers are Shane Brennan and R. Scott Gemmill. CBS Corporation (NYSE: CBS.A and CBS) is a mass media company with constituent parts that reach back to the beginnings of the broadcast industry, as well as newer businesses that operate on the leading edge of the media industry. The Company, through its many and varied operations, combines broad reach with well-positioned local businesses, all of which provide it with an extensive distribution network by which it serves audiences and advertisers in all 50 states and key international markets. It has operations in virtually every field of media and entertainment, including broadcast television (CBS and The CW - a joint venture between CBS Corporation and Warner Bros. Entertainment), cable television (Showtime Networks and CBS College Sports Network), local television (CBS Television Stations), television production and syndication (CBS Television Studios and CBS Television Distribution), radio (CBS Radio), advertising on out-of-home media (CBS Outdoor), publishing (Simon & Schuster), interactive media (CBS Interactive), music (CBS Records), licensing and merchandising (CBS Consumer Products), video/DVD (CBS Home Entertainment) and motion pictures (CBS Films). For more information, log on to www.cbscorporation.com. Boomdizzle.com, founded by LL COOL J, is an online social networking community which provides a world-wide digital platform for existing and new artists to create, promote, perform, and distribute music and entertainment. Boomdizzle gives every artist the opportunity to become the next superstar by providing all of the services traditionally offered by major entertainment labels. Want to be famous? Visit www.boomdizzle.com and see if you have what it takes.